In November the world celebrated another World Toilet Day, which originated in Singapore November 19, 2001 and the idea behind was to bring awareness to people on the significance of having hygienic toilets in their families. And in honor of this special occasion I would like to bring you up to date of the recently installed indoor toilets at the Crooked Tree Village School. 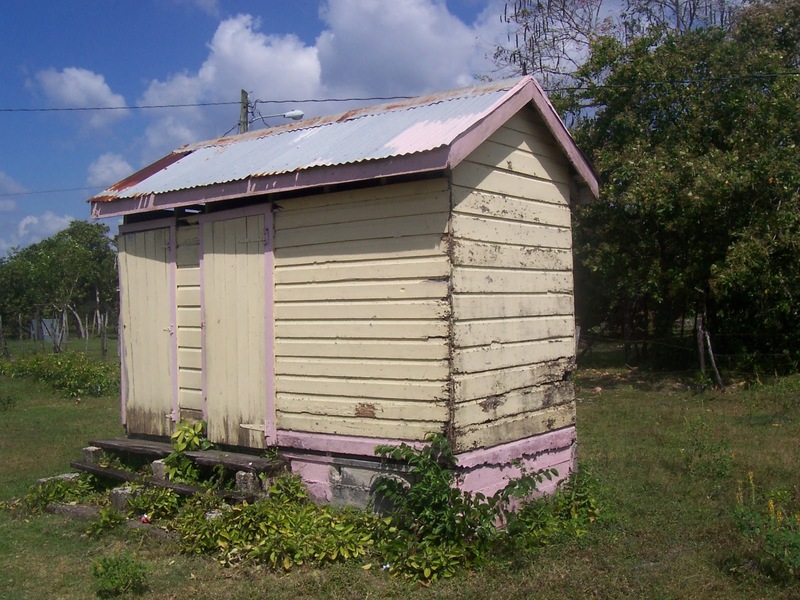 Since 1952 children of the Crooked Tree School have been a part of the 2.6 billion people world wide without adequate access to modern sanitation. As a child growing up in Crooked Tree Village I would say that 99.9 % of the community didn’t have indoor toilets, but we were relatively free of the diseases associated with improper sanitation. Most of the mothers of the village would see to it that the children wash their hands after using the latrines and before sitting down to eat. Crooked Tree Village was a very poor village, where most of the households survived on subsistence farming, fishing for daily use, and seasonal fruits. The incomes made were spent primarily on food; other goods or items were given relatively low priority. 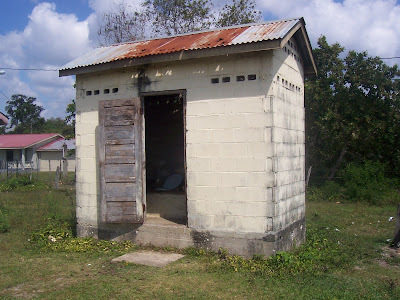 The only indoor toilets in the village up until the early 1980’s were at the Nazarene Church Mission, The Nazarene Clinic and Health Center, The Crooked Tree Police Station, the residence of the school principal and the Government Guest House. 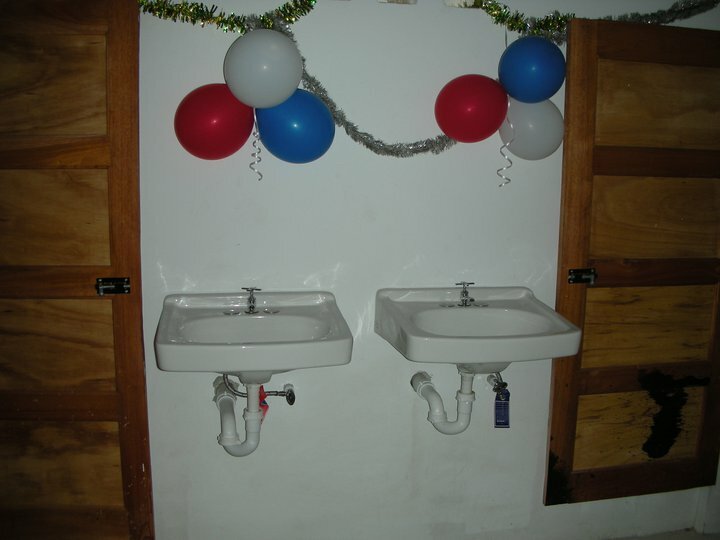 The Government Guest House had a super modern bathroom that was used for visiting dignitaries like one of the first British Governor of Belize, Sir Colin Thornley; Rt. Hon. George Cadle Price; the Chief Education Officer and other government officials. 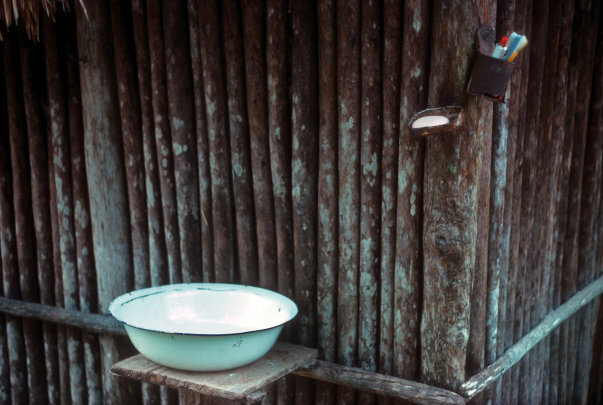 Most of the latrines used by villagers were a crude pit in the ground with a wooden box covering. In some extreme cases, some families would simply defecate in open fields or behind bushes some distance away from the dwelling houses. 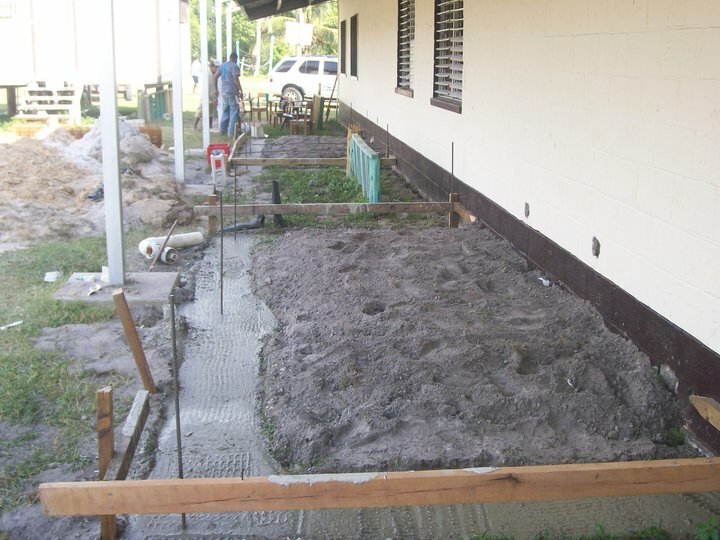 In the 1960’s the Government of Belize introduced a program where each household were issued a 4x4 concrete slab with a hole in the middle that fits perfectly over the pit in the ground and a wooden dome or pyramid shaped seat, about two feet tall for sitting. I don’t remember if there was a cost to each household, but I very much doubt it because most of the families would not have been able to afford to pay. In 1952 the school was moved to its current location and two gender based communal latrines were installed in the far corner of the school compound, away from the main school. 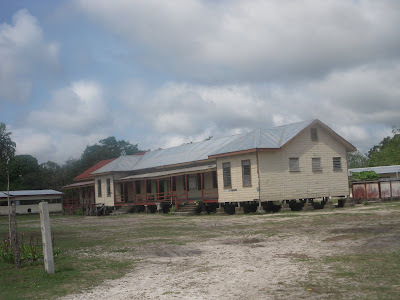 Each building had three seats in one compartment and one seat in the other, the latter, reserved only for the teachers. 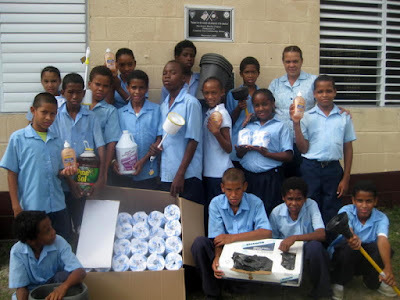 Odor and insects problems were rarely present because of the rotating cleaning that was done by the school children and the use of kerosene dumped into the holes to keep the odor at bay. The holes were relatively deep and extra wide as to avoid frequent emptying or maintenance. The one luxury that was missing form our latrines was toilet paper, but we made do by ripping a page from our note book. Whenever permission was given by the teacher to go to the toilet we would start rubbing our paper on the walk to the latrine. By the time our business was completed the paper was as soft as any cheap toilet paper today. I can safely say that the latrines at the Crooked Tree School were never filthy or degrading. On October 16th, 2010 forty two parents and teachers of Crooked Tree Village embarked on the construction of two concrete bathrooms for the Crooked Tree School. 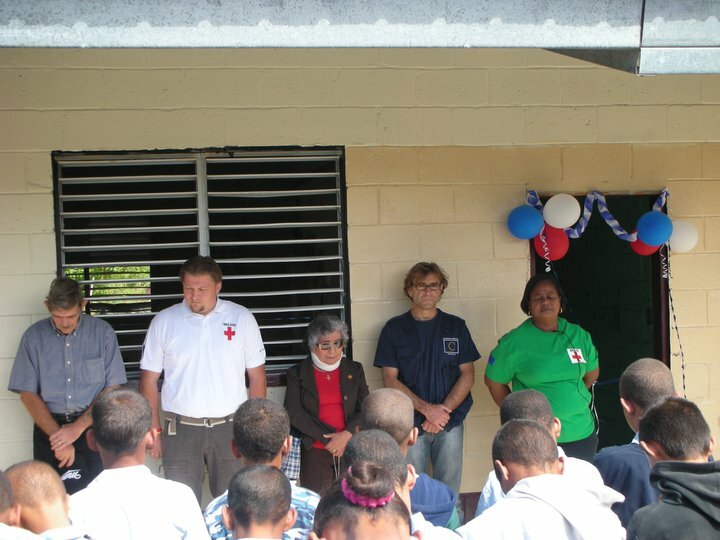 The facilitation for these projects came through the Belize Red Cross Disaster Relief Program with funding from the Norwegian Red Cross. 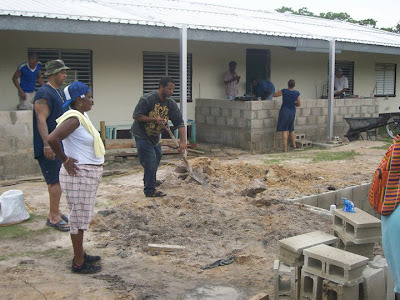 The community undertakes the construction every Saturday and by December of 2010 the bathrooms ( two for girls and two for boys) were open for use. The final touch, tiles to the floor, was added this July. 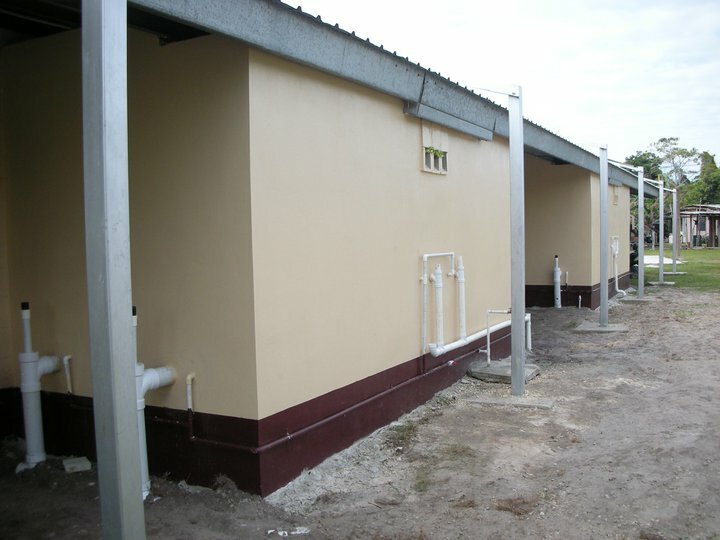 For this school year, 2011/2012, pit latrines are now a thing of the pass at the Crooked TreeVillage School. BZ$1,000.00, was recently donated by Village View Post toward supplies for the bathroom and two other toilet bathroom projects in other villages, split evenly between the Crooked Tree bathroom and the Belize Red Cross. 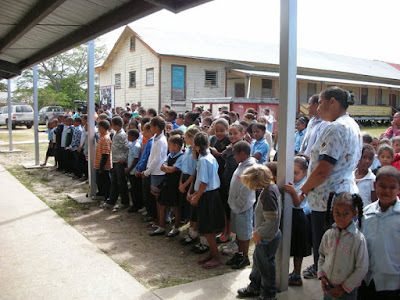 The Village View Post coordinated a fundraiser in which we were able to raise US$550. Bz$500 went to the Belize Red Cross and Bz$500 to the school for the purchase of bathroom supplies. Kids of today in America take too much for granted...what do you think they would say if they had to use an out house? Congratulations Crooked Tree! 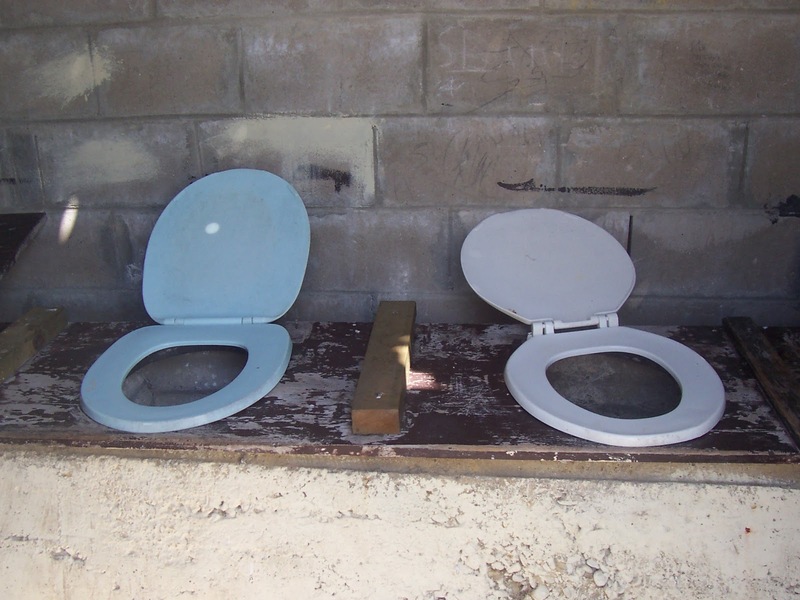 Now here is something we could all work towards that will have an immediate effect on the daily lives of Belizean children....actually I really didn't know we still had pit latrines in schools. I grew up with that at my elementary school but for some reason I thought that that was all over with. Wow! That is very exciting. I am happy for the students. Slowly, but surely Crooked Tree is coming into the current century. 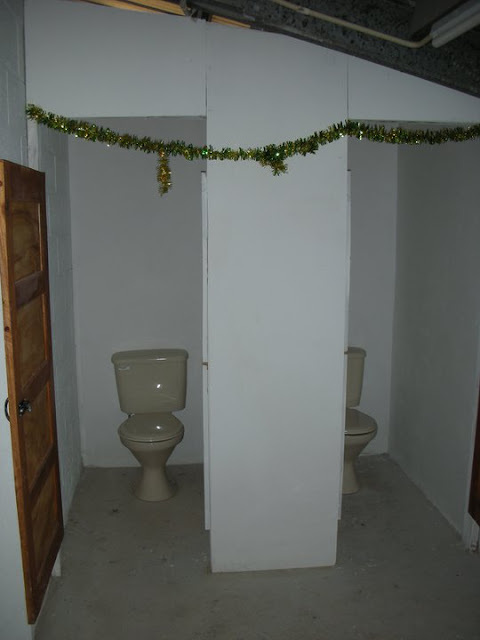 I am very happy to see the new indoor toilets for my old Primary School. I t will be great when all the school in other villages get the same blessings. That's good for Crooked Tree. Had no idea those were still around. Thank for the e-mail the Pit is sure a thing of the past, the village sure came along way from what is was. And their is still some emprovement that could be made, As time goes by things changes. Those days in school will always be in one memory. Linda.....Thanks for sharing this info with me. This is great news. Thanks to all those who help to make this possible. Have a great day and enjoy the season. Wow,Our little Village is moving along. Linda great Job,I commend You and respect you for all that You try to do for Our Little Hide away. I went to school back in the late 1950 to 1960 so that's along time ago,we did not have all that comfort you all getting today,for which I am very happy. I even see you guys had wash basin; we had a bucket. Good for Crooked Tree Village!